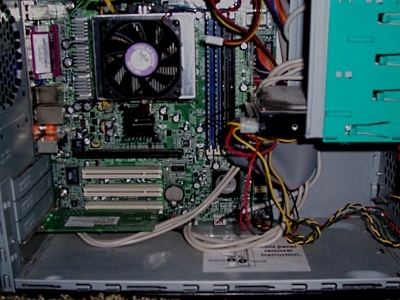 Branded computers can offer both value and performance, the parts used can be powerful and not very expensive, and you can switch on and start work. Yet parts are often short-spec in one place or another. Sadly you'll often get a performance "bottleneck" such as a slow graphics card, only a basic amount of memory, or a slimline motherboard with too few upgrade slots. Luckily, computers are surprisingly easy to build. If you can afford the time to plan and build your own machine, you can design a system more targeted toward your own use. • Basic System. Nothing special, just some good parts from solid brands. • Home System. Mainly more RAM and a dual-core processor so everyone can multi-task. • A Gamer's Rig. You'll need a killer Radeon or Geforce graphics card from a well-trusted vendor, a dual-core processor (Dual-cores have been tested and true to perform better in 3D games than quad-cores), speedy RAM (quality is better than quantity when it comes to gaming), and if you want load times to be faster, a good SATA hard drive. • Music Sound Mixing/Producing. Choose a well-received sound card, such as from the X-Fi or Audigy series, a decent amount of RAM, and a decent processor. • Video Editing Suite. Choose a graphics card good enough at rendering what you need done, and use at least a dual-core processor for multithreated codecs. A good-sized hard drive will be needed if you do lots of lossless video editing. • Server System. Not very much is needed if it's a dedicated system. An old computer or a basic system with more hard drives will do well. If your server is going to be performing complex tasks (such as using the PHP programming language or hosting a game), it will need as strong of a processor and as much RAM as possible. The speed and type of RAM do not matter. You will need at least one large hard drive. One TB (terabyte) hard drive would be a great choice. The speed of the hard drive does not matter much, either. Multiple drives is a good upgrade, however, for when you are hosting multiple large-scale sites, for one hard drive can be spinning when the other isn't. And faster the NIC (network interface card), the better, although it will not make too much of a difference.